Royal Hill Condotel building ‘A’ floor 4, on Thappraya Road, Jomtien. Front unit with 2 bedrooms, 2 bathrooms, European kitchen, dining room with bar, lounge with home theatre. Large wide balcony, 110 degree sea view. 4 air cons, 7 ceiling fans. 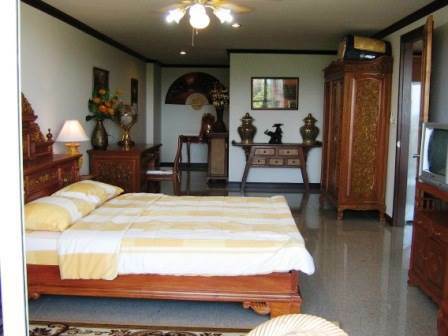 Maintenance 3,160 Baht per month. For sale at 7.6 million or rent at 59,000 Baht per month. Foreign ownership. Our reference JTC1029.